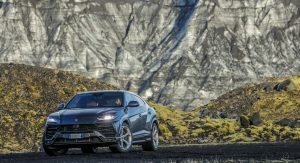 Given its provenance, it shouldn’t surprise anyone that the all-new Lamborghini Urus is an absolute performance animal capable of things once reserved to expensive two-door supercars. 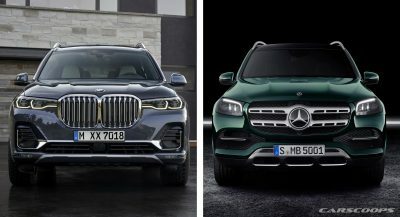 Even so, the crew over at Car and Driver recently had the opportunity to performance test the super-SUV and were able to achieve some incredible things. The figures confirm that the Uber is just as potent as we’d imagined – and then some. 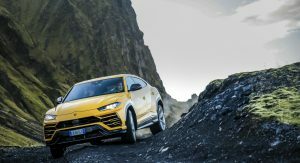 During Car and Driver’s tests, the Italian SUV was able to rocket to 30 mph (48 km/h) in a staggering 1.3 seconds, 40 mph (64 km/h) in 1.8 seconds, 50 mph (80 km/h) in 2.4 seconds and 60 mph (96 km/h) in a mere 3.2 seconds. 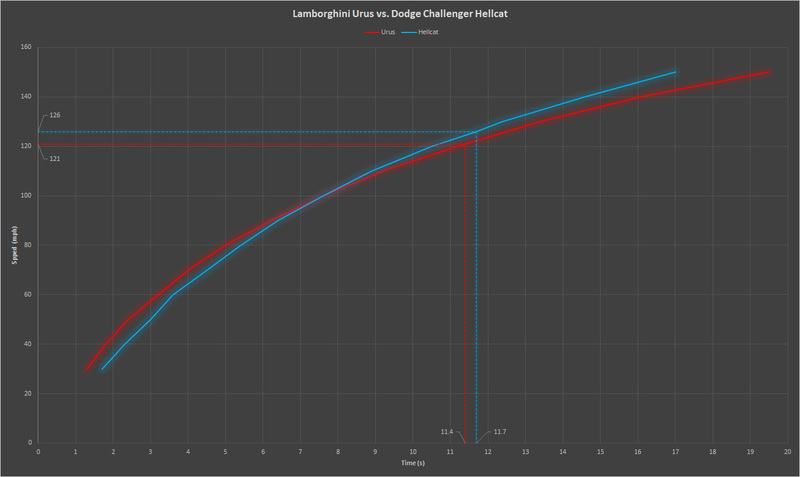 The Urus then goes on to hit 100 mph (160 km/h) in a staggering 7.6 seconds, exactly the same time needed for the Dodge Challenger Hellcat to reach the same mark (as the graph from Reddit below shows). 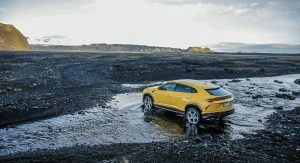 When placed on an open drag strip, the Urus ran the quarter mile in 11.4 seconds at 121 mph (194 km/h), making it quite comfortably the quickest SUV tested by Car and Driver, beating out the likes of the Bentley Bentayga, Range Rover SVAutobiography LWB and Maserati Levante GTS, none of which dipped below the 12-second mark during testing. It’s not just in a straight line where the Urus proves itself. While its roadholding was being tested on a 300-foot skid pad, it was able to record 1.02 g, a figure generally reserved for supercars such as the Audi R8 V10 Plus. 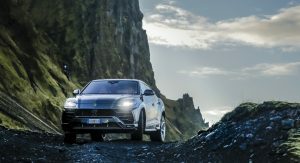 The Urus is also quite capable when the huge brakes are applied. In fact, it can brake from 70 mph (112 km/h) to a standstill in 149 feet, despite tipping the scales at a hefty 5314 lbs (2410 kg). 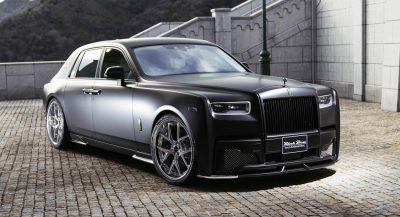 Now, what else might Lambo’s SUV need to conquer? Let’s see… the infamous, and headline-making, Nurburgring track, perhaps? FCA must be flattered when they see a Demon is mentioned with Urus and R8 is a same article. I didn’t see a Demon being mentioned…Did they edit the article? 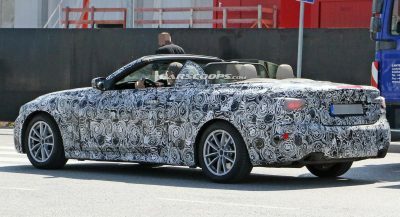 Too bad it looks like nothing more than an aggressive Audi, and R8 SUV. I wish it was more distinctive, took more chances with the body design, as all proper Lamborghini vehicles always should. I so wish the door handles were better integrated and the front end wasn’t as horrendous. Maybe a facelift will fix it. Agree 100%. They put a handle from an industrial refrigerator over a dent and called it a day. That grille is inexcusable. 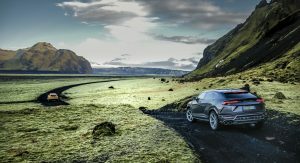 It really bugs me that the Trackhawk is almost never mentioned in articles like this. WHY? It has earned a right to be included in this group. 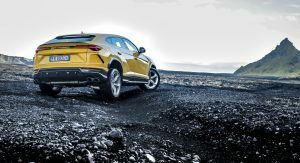 The Urus gets to 60 mph in 3.2 seconds and does the quarter mile in 11.4 seconds at 121 mph. The Trackhawk gets to 60 mph in 3.5 seconds and does the quarter mile in 11.6 seconds at 116 mph. Stop leaving out the Jeep. Seems like the comparison includes luxury makes only. 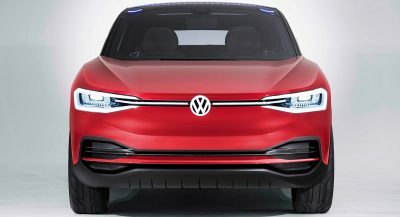 Had it been for overall SUV benchmarks, I’m sure it would have been included. Isn’t their pricing about $100K apart? Maybe FCA doesn’t have any Trackhawk loners to lend? Motor Trend and Car and Driver seemed to have found their own. There is no way this truck is running the horsepower that Lamborghini is claiming. I bet it’s over 700HP. “The figures confirm that the Uber…”? I guess it’s pointless to to suggest taking some pride in your profession. Call it what you want, but you can’t deny those are some impressive figures.